Here are a few of our frequently asked questions , if you have a different question, please feel free to contact us on 01709 549873 where we will be happy to answer any of your queries. 1.Can we sand the floors ourselves? There are many Hire companies that out hire the equipment to sand your floors, although initially this may seem to be a cheaper option, this equipment is constantly being used by amateurs and as a result the sanding machines can be unbalanced and far from the expensive state of the art machinery used by expert trades people. 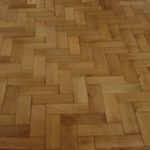 I would therefore suggest that you seek a qualified tradesperson to undertake this type of work, which will result in a more cost effective option as the end product will be a far superior finish to the floor, which will truly add value to your property. 2. How many times can my floor be sanded ? This depends on several things, the flooring manufacturers recommendations, the thickness of the wood, the type of sanding equipment used etc, however as most hardwood floors are typically 18mm thick or above, most floors can undergo 3 to 4 sanding’s without compromising the timber. 3. Can engineered wood be sanded? Engineered wood is a surface layer of solid wood veneer on top of engineered plywood, and as such can be sanded , the top quality brands can usually be sanded between 1 and 3 times, dependent on the thickness of the veneer. 4. I have paint splashes and old plaster on my floors, will these be removed by sanding? Yes, the floor sanding machines are able to remove these as part of the sanding process. We will also remove staples.Nails and screws are removed or hammered in and countersunk. We will check your wooden floor before proceeding with the work. 5. My floor has black paint all around the edges, will this come off? Before the days of fitted carpets, it was customary to have a central rug and paint a bitumen type product around the edges of the room, this was usually black or brown in colour. This can be removed but does tend to clog up the sanding discs and belts , therefore the process does take longer . Please be aware that , in some cases there may be a very slight difference in tone.This is because the wood underneath the bitumen has not been exposed to the same levels of air/sunlight and moisture as the remaining floor. 6. Should I have my floor sanded before I decorate? The floor should really be the last job to be done , any work that needs to be carried out, such as plumbing, plastering , electrical work or decorating should be carried out first; however we do recommend that you leave the final coat of paint off the skirting boards, to enable the edge sanders to get right up to the edge. 9. What colour will my floor be when it has been sanded and varnished? 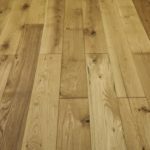 The colour that your wooden floor will end up is dependent upon the age of the floorboards/wooden floor and an indication of this is by the width of the planks. Narrower boards of, say, 5 inches are comparatively newer than wider floorboards and, therefore lighter when varnished and the older floor boards of, say, 6-8 inches and over, are generally older and, therefore darker when varnished, even with a clear varnish. This refers more to pine, which is the most common form of wood used as floorboards across houses in the UK. Of course, in instances where you have oak or mahogany etc., then your boards will turn our according to the relevant type of wood, oak does lighten a little after sanding due the the wood underneath not being as”weathered” however the redwoods such as mahogony and cherry , change very little.Coloured varnishes are definitely not recommended. 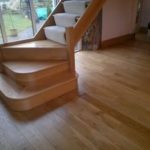 Should you wish to darken your floors then you will have to have a floor staining process and we will advise you on your specific requirements. Please be aware not to go too dark in colour, as the only way to go lighter afterwards, is to re-sand, attracting additional cost to yourself. Also, please note, that a stain is only a representation of the chosen colour, be it oak or mahogany etc. Stains are, in the most, not opaque, the stains have transparency and with that, the grain and even a representation of the original colour of the wood is likely to show through. We recommend that you choose three colours and the on the day of the floor sanding we can test patch each colour on your actual floor, this enables you to choose the stain you prefer. 10. Why do you not recommend coloured varnish ? This is a very common question. If you visit your local DIY outlet, a lot of the floor varnishes on offer have a colour included, such as teak or oak. The only real advantage of this is basically time and convenience during application. The disadvantage is that, with each coat you apply, the colour changes and darkens. You are guessing what the final appearance will be. Most importantly, as a coloured varnish wears with time and traffic, the colour starts to be affected immediately. With our process, the seal is protecting both the wood and the colour stain, ensuring that the stain remains consistent for far, far longer. 11.How many coats of varnish/lacquer do you apply? Typically we prefer to apply three coats of varnish/lacquer, the two top coats being a heavy duty two pack lacquer. This provides the optimum finish and durability for most domestic situations. However on a commercial project it for example pubs, school halls and sports hall etc is usually necessary to apply extra coats depending on the specification. 12.But is the house going to smell of floor varnish? No please dont worry about that. Almost all of our products have no smell at all. We only use the most advanced floor finishing products available. Incidentally all of our products meet the new EEC environmental legislation, as well as the proposed future regulations – good for you and the environment! 13. How long will my room be out of action ? This depends on the size of the floor and the amount of repairs required , if we are removing a hearth or replacing damaged floor boards with reclaimed timber , this will obviously take longer to complete however an average size floor normally takes between 1 to1.5 days to completely sand down and refinish , we recommend that the lacquer applied on the floor be left at least 48 hours to properly cure , before replacing the furniture. 15.Which cleaning product should I use on my floor ? No maintenance or cleaning products should be applied until 2 weeks after the wood floor has been lacquered. Clean with the manufacturers recommended cleaner. A full maintenance sheet on ” how to care for your wood floors ” is provided after each floor restoration project, this will give you advice on which cleaning products to use on your floor and tips on how to keep your floors looking their best for many years to come.